What can we learn from having a bad boss, or working with a really bad coach? Emotional Intelligence expert Dr. Tracey Adams says plenty! Tracey and I recently met via a mutual friend and PYP MVP Elizabeth Case (thanks, Elizabeth!) and we hit it off immediately. Enthusiastic is an understatement when it comes to describing this powerhouse. I learned so much from our conversation on today’s episode, and I know you will love what she shares. 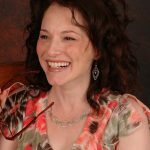 When she’s not off facilitating private retreats for women so they can show up more powerfully by using emotional intelligence for better well being at work and at home, Tracey Adams teaches emotional intelligence within organizations. In fact, her doctoral research focused on the correlations between a manager’s emotional intelligence and their team’s engagement.Tracey spends her time in Portland, Oregon raising two teenagers and igniting every room she enters with her infectious positive energy. One of the big takeaways from Tracey’s episode is this: when we allow other people to take the credit for winning, we actually win bigger. Tracey shares a great story about a time when she experienced this very situation — along with her honest feelings about what was happening inside her mind while it was happening (many of you will relate to the story she was telling herself). She also tells a great story about a really bad boss she had who, because of how disconnected he was to her and everyone else he oversaw, taught Tracey how to show up even more fully for herself and the 28 direct reports she supervised. Being fully present with other people is a strategy Tracey uses to win at work and in her life. Learn more about Dr. Tracey Adams on her website here.